So said the editor of Granta, John Freeman, when he published his 20 Best Young Brazilian Novelists issue in July 2012. Two years on, the dream-life ofBrazil is still largely unexplored territory for Europeans. Most readers of contemporary fiction in translation could name 10 Indian novelists with little difficulty; try the same trick with Brazilian authors, and see how the scoreline pans out. But there are beacons of light. Recently, Dalkey Archive Press brought one of the authors from its Brazilian list, João Almino, to meet a group of literature students at Trinity College Dublin. They are studying for a master of philosophy degree in literatures of the Americas, and the course ranges fromWilliam Faulkner through The Exorcist to Inuit writing in English. The students have also been reading Dalkey Archive Press’s handsome hardback edition of Almino’s The Book of Emotions, copies of which begin to appear from satchels and backpacks as everyone settles at the large round table in the seminar room. The Book of Emotions is also perched at the top of the very long 2014 Impac longlist. As the founder of Dalkey Archive Press, John O’Brien, writes in his introductory remarks, it is “a very strange book”. The story takes place in a future Brazil, where a blind photographer named Cadu is organising a series of old photographs in his head – a diary, in effect, of his emotions as they were frozen on this or that day. Unless, of course, you go to Almino’s excellent English-language website, where you will find a selection of his rather beautiful abstract photographs, which suggests that his stance on the matter is as mischievous as it is multi-layered. Back at the seminar, another student asks whether Almino feels a social responsibility to represent Brazilian culture in a particular light. The author shakes his head. “Brazilian-ness is something that appears as a result of the writing process, not at the beginning of the process. If it’s at the beginning, it will put the writer in a straitjacket,” he says. Given that Irish writers are often asked a similar question about “Irishness” in their work, it is interesting to hear a Latin-American writer answer in such a forthright manner. Nevertheless, as the discussion progresses, we get tantalising glimpses of Almino’s life in Brazil. He was born in the northeast of the country. His father was an autodidact who, despite a lack of formal schooling, taught himself to read and write, and had a small library that included five or six novels. Young João was fascinated, and, at the age of nine or so, wrote his first book in a school copy. We also learn about Almino’s literary antecedents. He expresses unbounded admiration for Borges, the blind Argentinian master. We discover that a character in The Book of Emotions is named Laura in a respectful nod to Petrarch; and that the book itself is written in 122 chapters, “precisely one-third of the number of Petrarch’s poems”. 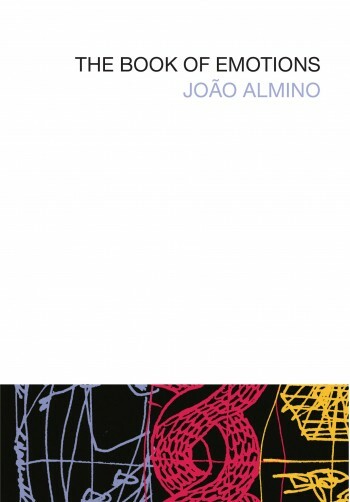 Almino explains references in his work to the novels of his compatriot Joaquim Machado de Assis, regarded by many as the greatest Brazilian writer of all – but still, despite being fairly widely translated into English and other languages, not as well-known to the wider reading public as he should be. Which is, pretty much, where we come in. But we leave the room with a very real sense of an excitingly varied and socio-politically relevant literary tradition that awaits the pioneering reader. With the World Cup returning to its spiritual home this summer for the first time since 1950, 2014 may yet be a year of fairy-tale endings. Let’s hope Brazilian fiction is on the winning side. If you want to dip your toe in the waters of Brazilian literature, where do you start? Well, there’s that Granta issue featuring the 20 Best Young Brazilians, which has made waves among critics in Europe and the US. The Dalkey Archive Press list is also a good starting point, offering a varied selection of Brazilian writing, from Ignacio de Loyola Brandao’s social satire Anonymous Celebrity through Ivan Angelo’s multilayered tragicomedy The Celebration to a collection of 10 stories from the most experimental period of the 19th-century author Joaquim Machado de Assis. João Almino, for his part, recommends Clarice Lispector, the Jewish-Brazilian writer of whom it has been said that she “looked like Marlene Dietrich and wrote like Virginia Woolf”; and the socially committed communist novelist Graciliano Ramos, whose work is concerned with the plight of the desperately poor communities of Brazil’s sertão, or northeastern highlands. This World Cup year will also see the publication of a number of further translations of books by young Brazilian writers. Daniel Galera’s Blood-Drenched Beard, coming from Hamish Hamilton in May, is a family saga of sorts. The first of Granta’s 20 Best Young Brazilians to be translated, meanwhile, isMichel Laub. In his fifth novel, Diary of the Fall, a schoolboy prank goes horribly wrong, and a boy is injured. Years later, one of the classmates relives the episode as he tries to come to terms with it. It will be published by Harvill Secker in April.